Are the NorthStar Alarm door to door reps ruining their reputation? NorthStar Alarm reviews tell the story. Before you get a Northstar Alarm System, you may want to hear from others who acted on impulse and got a NorthStar Security System. If you are considering a NorthStar Security system, you may want to see how NorthStar Home Security owners feel in our section for customer NorthStar Alarm reviews before signing a 5-year contract. NorthStar Alarm has posted impressive growth numbers over the years by deploying hundreds of highly commissioned door to door salesman across the country. While they have been largely responsible for the growth of the company, these sometimes poorly trained and overzealous reps may also be responsible for a large percentage of customer complaints relating to NorthStar Security Systems. Online customer NorthStar Alarm Reviews often cite concerns with 60-month contracts, auto-renewal clauses, and misrepresentation. Our NorthStar Review summary and detailed editor’s reviews are followed by a section for NorthStar Security Customer Reviews and a FAQ section in which we compare North Star Alarm with some of the best home security companies. If you currently have a NorthStar Home Security system, we hope you will share your experience with our readers below. Current NorthStar Alarm Customer? Leave Your Review! Prospective NortStar Alarm customer or existing NorthStar Security patron? Making plans for securing your family with a NorthStar alarm system? Or perhaps you are actually an existing NorthStar Security patron and are looking to post or read NorthStar Alarm Reviews or seeking alternatives to your NorthStar Home Security plan. The Home Security Advisor was developed to be a extensive resource to assist you in finding the answers you’ll want to help make well-informed decisions regarding home security- along with the tips on how to protect your home and loved ones. 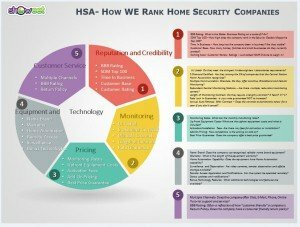 Along with comprehensive research and summary ratings, you can find a place for authentic customer testimonials, micro comparisons with recognized competitors, and common questions …as well as techniques for preventing false alarms, the best way to minimize ones insurance premiums as well as additional potential benefits to purchasing a NorthStar Home Security system. Strongly recommend scrutinizing contract closely and investigating alternate options. 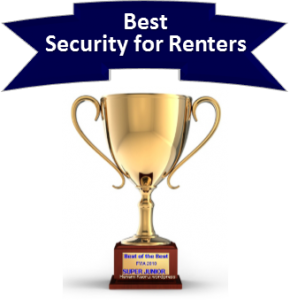 Find out how NorthStar Security stacks up against our Top 5! Launched in 2000 in Orem, Utah, NorthStar has grown quickly to reach a customer base of 35,000 spread across 29 states. NorthStar is ranked as the 18th largest residential security and automation company in nation by SDM Magazine and was named a runner up for the “Best Companies to Work For” award by Utah Business Magazine. They have achieved an impressive growth rate by through acquisition and employing door-to-door sales tactics. As impressive as the growth rate is, their reputation has been less than sterling. However, their BBB rating, has recently improved to a B+. Perhaps this in due in part to the efforts of their online reputation management efforts. As is not unusual with any door to door marketing business model, there is a great deal of negative online feedback involving allegations of misrepresentation, high pressure sales tactics, failure to disclose terms and poor customer service…which have ultimately resulted in 373 complaints being filed with the BBB in last 3 years . Monthly rates and contract terms are conspicuously absent on their site…which lacks basic transparency. NorthStar employs a third party UL Listed, Five Diamond Certified monitoring service. Basic monitoring does include standard interactive services and rates run from $29.95 to $74.95 a month….and requires a 42 to 60 month contract! This is significantly longer than the more standard 36 month agreements employed by most of the best home security companies. Additionally, many customers have complained of 18 month auto-renewal clauses in some states…that also require a 60 Day written termination notice. Advanced monitoring packages include features such as remote arming and management capabilities, z-wave appliance and door locks, 2-way voice and video surveillance. Total Connect Interactive services are used for home management and automation and are available in their premium monitoring service packages. 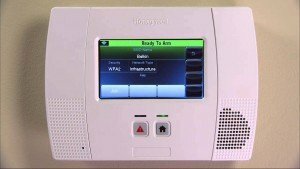 NorthStar Alarm professionally installs Honeywell security equipment. 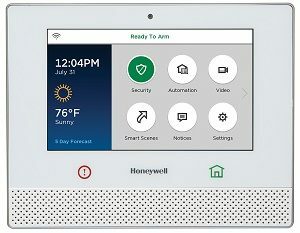 March Equipment Update: While the company continues to feature the Lynx 5200 on their website, they now carry the new Honeywell Lyric lineup. While they list retail pricing on various components of their security systems, some of the prices are artificially inflated to create the illusion of large discounts and greater value when they put together a quote. I mean really…$700 for an Honeywell Lynx 5200 control panel? It’s a nice panel and features touchscreen controls and full home automation capabilities…but one can find an entire basic package for about half that….and $525 for a Z-Wave thermostat? $300 for Z-wave locks? The NorthStar Alarm security company has a legion of door to door salesman that has driven the customer acquisitions up past 35,000 over a relatively short span…but, what happens after the sale? They offer online chat, email, phone and have online tutorial videos. Relocation program- You will have to pay a $99.00 service fee to have your system re-installed at a new location. Online feedback indicates an overall sense of customer frustration and dissatisfaction. Is this just a case of the disgruntled vocal minority? Door to door sales is inherently more prone to customer complaints. Often maligned for targeting the elderly, unscrupulous door-to-door sales personnel may employ high pressure sales tactics, fail to disclose important contractual terms or just plain misrepresent the company…claiming that they have “bought out” the existing alarm company, and are merely upgrading the equipment. There are many online complaints to this effect. Overall, one should exercise extreme caution before committing to any door to door contract….especially if they are doing same day installs. In contrast to negative online review and feedback…the fact that they have recently won a Bronze Stevie award and have improved to a B+ BBB rating is an indicator that they are taking measures to improve the customer experience. While they may have a compelling sales presentation, it is always prudent to exercise extreme caution when dealing with door to door sales people. Not all are “shady” or “dishonest”….but, make sure you get everything in writing…and make sure that that you take the time to compare it with our top alarm companies , BEFORE signing on the dotted line. With a NorthStar Security System, you are committing to a 60 Month Contract….and are responsible for 100% of the contract value-even if you move or cancel the service. Given the lengthy contractual obligations, lack of online transparency, reputation and BBB ratings we would strongly recommend that you check out other security options before committing to a 5 year contract. Please feel free to offer your comments and feedback on these NorthStar Alarm Reviews or share your experience with a NorthStar Security System below. How does NorthStar Alarm compare with other top ranked security companies? 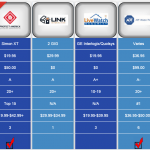 While NorthStar has done an admirable job growing their customer base, when they come knocking at your door, we recommend that you investigate some of the top alarm companies in side by side comparisons, below. Contract Length - 42-60 mo. The primary panel used in Northstar home security systems are made by Honeywell, where as Vivint systems are manufactured by 2Gig. The Vivint Flexpay option allows their customers to choose to finance the equipment separately over 42-60 months with 0% interest. However, if you choose to pay for the equipment in a lump sum, there is no monitoring contract required! This is one of the many reasons Vivint is the #3 security and home automation provider in the US. While both companies use excellent equipment, Vivint offers more financial flexibility and, in most cases, would be more cost effective, Before committing to an expensive long term contract, carefully consider the comments in our customer NorthStar Alarm Reviews, and get a free quote from Vivint. If you are consideringNorthStar Alarm, you are likely most interested in a quality professionally installed home security system …. Because it is professionally installed and is the most highly recognized and most trusted brand in home security, ADT should be on the top of the list of companies to consider for a professionally installed security system. Armorax DIY or North Star Security Professional Install? If you are reading this review, it is likely because highly commissioned NorthStar door to door sales teams are swarming your neighborhood….or have called on someone you know. NorthStar Alarm Systems are professionally installed. However, they install Honeywell Lynx wireless systems which, if they are pre-programmed could easily be installed by anyone. And they certainly aren’t $700 for a control panel. Nevertheless…one of the problems with professional installation is that you are required to live within their service area. But, what happens if you relocate outside their service area? That is one of the reasons why DIY alarms make so much sense in our mobile society. Certainly hard wired home security systems required professional installation . Back a few years, security systems used to be complicated and require drilling holes, fishing wires and programming systems. Our original interest pertaining to Armorax has decreased substantially as the enterprise continues to exhibit signs that it is having problems. The BBB ranking has recently slipped off significantly from an A (when we originally reviewed NorthStar Security Systems)to a C+. Throughout our secret shopping efforts, we have discovered that even the sales team will not pick up the telephone. Incoming calls are generally handled by way of a voice mail which advises people to dial 911 should this be an emergency…or to stay on the line for the product sales department. Following 2 or 3 additional minutes on hold, you’re finally handled by an answering service that’ll demand a name and number to get return call. This makes one wonder what takes place if I have a trouble with my system? In addition, Armorax has switched suppliers 3 x within the last twelve months. They have converted from the cutting edge 2 Gig systems, temporarily advertised the Interlogix Simon XT, and are now supplying the less well known Resolution Helix control panel. Their present-day offer costs you $99.00 up front and basic monitoring starts at $34.99 and the Mobile APP is additional! So there is no longer a huge pricing advantage when compared to the NothStar Home Security program. Furthermore, the total lack of online transparency does nothing to encourage confidence. At this time they’ve got a 1 page site that features virtually no information about the firm history, products, pricing, monitoring provider and services, Mobile App, Installation instructions and / or online videos …or nearly anything else that a prospective client really should appreciate. While the company showed good promise originally, we’re no longer as enthusiastic about them as a solid alternative option to a Northstar Alarm system. In our view, you will find superior selections listed above. The original Armorax vs NorthStar Alarm Reviews post is listed below for comparison purposes. The 2 Gig add on devices are roughly half the price of professionally installed components. See how much you can save on add ons by calling 866-355-0640. However, it is the low,low Armorax monitoring rates that really sets them apart. Right now they are offering Cellular Monitoring for just $24.95! And they require a 42-60 month contract …which often includes auto renewal clauses and 60 day termination notifications. Add-ons with the NorthStar security system can get pretty expensive. There is little transparency on the site, but professionally installed sensors typically cost about twice as much as their DIY counterparts. NorthStar Alarm monitoring rates can run up to $74.95. That is triple the monitoring costs with Armorax! 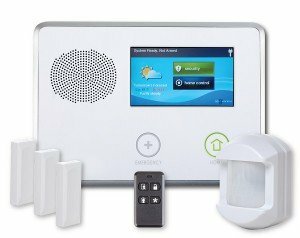 NorthStar Alarm offers a full portfolio of security and home automation services through Alarm.com…but, only in their premium plan for $74.95. Comparable NorthStar service requires a 60 month contract …and Triple the monitoring rate. Protect America has been in business for over 20 years and has the most experience in the DIY alarm industry. They provide state of the art security systems …without any upfront costs. Unlike NorthStar, there are no auto renewal clauses….and monthly charges are much more reasonable…starting at just $19.99! And their Rate Lock program keeps it affordable, by guaranteeing your monitoring rate for life. Compare monthly rates and Get the $0 Up Front Costs– with Protect America ! Owned by Mountain Alarm, Link Interactive is a nationally available DIY alarm company with a 60 year pedigree. They boast an A+ BBB rating…with an exceptional 98% customer approval rating. 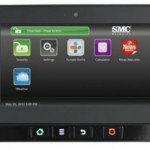 Do I need a landline for NorthStar Alarm monitoring? A NorthStar security system does not require a landline for monitoring. 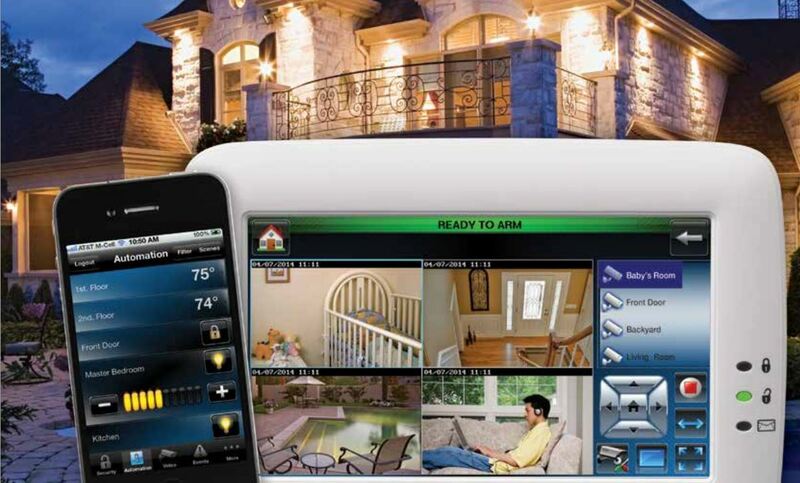 When it comes to optimal security, cellular monitoring is the best option for NorthStar Home security systems. That way there are no phone or cable wires that can be cut to interrupt an alarm signal to the monitoring station. While some NorthStar Alarm reviews might take exception to the higher cost of cellular monitoring, many NorthStar security customers find they can save some money by eliminating the landline completely. OFF – Even when yourNorthStar Alarm system is turned off, many of the alerts are still active. Your NorthStar security system will still alert you if a door or window is opened. Life and environmental safety systems (i.e. water or low temperature) are also still active. Stay– You can arm just the perimeter protection at the doors and windows by arming your NorthStar Home Security system in the “stay” mode. Instant – You can eliminate the entry delay on your NorthStar alarm system by arming it in instant mode. Duress – You can set up a special duress code that will notify the NorthStar Alarm monitoring center that there is a potential hostage situation. If you are already a NorthStar Aarm customer, please feel free to share your experiences in our section for NorthStar alarm reviews. Do pets set off Northstar Security motion detectors? If you have a larger pet, ask your Northstar Security rep about detectors that could screen out pets up to 80 lbs. You might also set up a “pet alley” in your Northstar Home Security system, or consider using a glass break detector. If you have an existing Northstar Alarm system, let us know how you handled larger pets in our section for Northstar Alarm Reviews. Will NorthStar Alarm provide security systems for renters? In the event you are renting a property, you will probably need to get in touch with NorthStar so that you can find out if NorthStar Security Systems are offered to tenants within your current region. The majority of professionally installed systems are generally offered solely to property owners. However, lots of providers will make exceptions in certain situations. In any event, if you are authorized, you will probably have to provide paperwork regarding property manager consent, as well as provide the landlord with codes and security passwords in the event that they need to gain access in an urgent situation. Is it mandatory to secure a burglar alarm permit to put in a NorthStar Alarm System? As it happens, you wouldn’t need a permit if the system were not going to be professionally monitored. However, since the NorthStar Home Security burglar alarm will be remotely watched with the aim of utilizing emergency response assistance, lots of local municipalities need to have a permit. Generally, this includes standard application with a nearest police or sheriff’s dept along with some sort of reasonable payment. You will more than likely be required to supply the name, address and phone number of NorthStar Alarm, along with the NorthStar Alarm Services monitoring station, if the two businesses happen to be different. Where ever permits are needed, generally municipalities will demand some sort of one time service charge to enroll an individual’s burglar alarm, while some cities and towns need to have a yearly renewal also. In municipalities with high burglary as well as false alarm rates, failing to register may bring about some sort of refusal to respond to locations which have no a burglar alarm permit…although this is certainly pretty uncommon. Having said that, you could be responsible for supplemental fees any time authorities, fire or perhaps emergency medical services might be sent to a location with no permit operating in towns in instances where one is required. Regardless of whether a permit is in fact acquired, almost all cities will definitely assess penalties and fees with respect to multiple false alarms. Nearly all towns have got policies established where the initial 1-2 dispatches would not call for penalties. Subsequently, after that penalties and fees more often than not rise from $25-50 for that initial enforceable offense…to $100-200 for subsequent recurring infractions. That is why, it is necessary that NorthStar Alarm home security system purchasers get hold of his / her local police department, learn what permits will be required, acquire a complete knowledge of the neighborhood guidelines and make certain that they consider critical strategies to forestall false alarms. To be clear, NorthStar Alarm will not assess ant false alarm charges. However, as stated earlier, false alarms arising from the use of a NorthStar Alarm System could result in a serious overload on your neighborhood law enforcement department and you could ultimately be held responsible for penalties and fees. Most NorthStar Alarm reviews don’t mention it, but, the vast majority of dispatches are a result of false alarms. For that reason, the majority of towns will fine homeowners if they meet or exceed a specific amount false alarms. To help avoid this, listed here are some recommendations to protect yourself from a false alarm with your Northstar Security system. • Make certain that everyone is familiar with how to disarm the home security system. Your alarm system is going to have a master passcode, coupled with a number of additional end user codes that may be programmed into the system. Attempt to make sure that everybody knows his or her code along with learns how to disarm the alarm system. • Make certain that everybody also has learned the password. In the event of an alarm, the NorthStar Alarm central monitoring station will generally contact your property and request the security password to confirm that the individual picking up is an authorized user. • Be certain that all windows and doors are completely shut prior to arming the system. Any entrance that hasn’t been properly secured could be blown open in your absence and trigger the alarm. • Check that all sensors are installed properly and in the required places. Motion sensors must be installed at a height of 6’ and clear of fans, heating units, fireplace and air conditioners. • Pay attention to things which may very well trigger a motion sensor. In addition to wandering pets, air conditioning units can cause fluttering draperies or plants. • Preferably, your pets ought to be restricted to locations removed from motion detectors. Any time that isn’t manageable, there are actually “pet friendly” or “pet immune” sensors which can screen out smaller pets below 40, 50 even 80 lbs.You can set up North Star Security motions to create pet alleys where by pets could move freely about. An additional choice is to utilize glass break detectors rather then motion detectors. • Make sure to exchange batteries when needed. The majority of alarm systems use Li-Ion batteries which actually have at minimum a two year likely lifespan. Your NorthStar Alarm App will generally notify you as soon as the batteries are becoming low not to mention warn you when there is about month of functional life. It advisable to have spare batteries on hand and switch out them without delay. Your system may even warn you if there are just about any issues with sensors. If you get a system error warning, do a status check and investigate the sensor. Get hold of NorthStar Alarm Services if it appears to be malfunctioning. Store customer NorthStar Home Security System manuals/codes/passwords in a very secure selected area in which they might be checked if required. The ideal way to avert false alarms is by using your system frequently and make certain everyone understands the right way to operate the system. Can I get a discount on insurance with a NorthStar Alarm? Absolutely. A lot of NorthStar Alarm Reviews mention that they had to request proof of installation, so make sure that you get it and furnish it to your insurance company. Insurance companies know that a monitored NorthStar Alarm will deter break ins and help reduce losses if the home is burglarized. According to the FBI , in 2012 the average loss in a domestic break in was more than $2,200. While having a NorthStar Alarm isn’t going to guarantee that your house won’t wind up being broken into…it is obvious that losses will be substantially lessened when an alarm is blaring away and the burglar recognize that the police had been alerted. Insurance companies understand this and that is why insurance providers extend considerable price reductions on Homeowner’s Insurance when the home is secured by a monitored alarm system. While price reductions vary from one company to the next,average discounted rates range from 5-20% in accordance with the type of system and the amount of services that are provided. Be sure that the insurance company is aware of whether or not the system will be supervised as well as whether things like fire, flood and freeze protection has been included in your system. NothStar Alarm usually supplies a certificate of installation showing the sorts of services for which your system is monitored. If they don’t contact NorthStar alarm services and they will make sure you get one. You can’t place a value on it…but, NorthStar Alarm Reviews indicate the biggest benefit everyone seems to be searching for when contemplating a home security and automation system is…Peace of Mind. They sleep better knowing the family is safeguarded with NorthStar Security …and that they possess complete command over the property regardless of whether they are home or away. Lots of people are astonished at exactly how cost-effective that a NorthStar Alarm services can be. 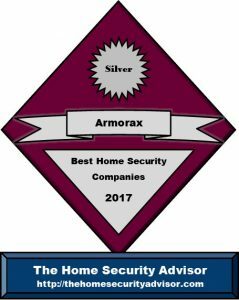 But before you sign an expensive long term contract with NorthStar alarm, make sure you investigate thouroghly and get a competitive quote from one or more of our top rated home security companies such as Protect America, Fromtpoint and Armorax security. There are several of important questions that you should consider prior to choosing NorthStar Alarm, or any other system, before even looking at NorthStar Alarm Reviews. Considering that you’re probably committing to a 2,3 or 5 year contract, it is very important think about a number of variables before you sign on the dotted line. No matter if anyone has come knocking on the front door, called you on the telephone or if you are responding to another sleek full-page color offer which arrived your recent bill….it is advisable to make sure that you possess a full understanding of all of the possibilities open to you to make the best evaluation possible. One of the initial criteria is whether or not you would like to set up the unit personally or maybe provide for an expert installation. The technology has been considerably improved over the years to help make the equipment especially simple to use…as well as install. The more reputable do-it-yourself home security system companies have drastically streamlined the set up process for you to make it simple for even the most technologically challenged home owners. The more desirable companies will pre-program the whole system before sending it out, in order that all the client will have to do is position the equipment and simply call in to get the system turned on. In excess of 90% of house owners revealed our best Do-it-yourself security alarms systems easy to install! Though a professionally installed system from NorthStar Alarm would certainly demand less energy, the great majority of homeowners agreed DIY alarm systems easy to put up, uncomplicated and less expensive. If you should decide on professional installation, you might want to check into a more experienced provider such as ADT Security. If you still want NorthStar Security, be sure to inquire how seasoned the installation technician is along with whether they have previously been background checked as well as undergone drug screening. Find out whether or not the company has their own personnel or works with Third party sub-contractors. Making use of subcontractors is not actually automatically a bad thing (they may also possess more practical experience when compared with company technicians) however ensure that they ought to have gone through extensive vetting before permitting them inside your your home. Bear in mind NorthStar Alarm security systems are in reality not offered in a number of regions across the country. This is often talked about when it comes to negative NorthStar Alarm reviews. Northstar Security customers become frustrated if they move and also have difficulties as soon as it comes to actually canceling his or her contractual agreements. When choosing a security company to help safeguard your loved ones , we suggest finding the perfect nation wide alarm service provider that can help protect your premises across the entire country. NorthStar Alarm only covers about half the country. No one wishes to be bound to a long term Northstar Security contract in an area that is not serviced by North Star Alarm, and have to fight with NorthStar Home Security customer service to get out of the contract. Before signing a long term contract with NorthStar Alarm, you may want to check out some alternatives in our top rated nationwide security system providers. If you already have a NorthStar Alarm, please share your experience and rate them in our NorthStar Alarm Reviews. Do customers find the NorthStar Alarm straight forward to control? NorthStar Home Security has advanced substantially throughout the past decade. And furthermore one of many benefits associated with improvements in technologies is the massive amount of emphasis on simplifying the NorthStar Security user interface. NorthStar Alarm Services employ modern user interfaces which you’ll find user-friendly and even prompt the end user for operations which include arming, disarming, bypassing particular zones etc..
NorthStar Alarm home security systems have built-in interactive smart phone software with home automation functionalities where you can supervise your house from anywhere around the world by using computer access. Quite a few systems are integrating voice command functions via their own equipment, Google Home or Alexa. These mean you can complete more common operations by just giving a voice command. Even though you will find NorthStar Alarm reviews may indicate issues with installations, services as well as billing concerns, you’ll hardly ever see NorthStar reviews that will gripes about a NorthStar home security systems being tough control. How Much Time Should It Take for NorthStar Alarm to Respond to a break-in? Although just about every provider claims to maintain the speediest response times on the market, one must recognize how to decipher these kinds of claims. Your NorthStar Security system should generally make use of a 30-60 second access delay with regards to your principal entry ways to permit you opportunity to disarm security system. The system can also be used on “Instant” function if everyone is home. The siren goes off after any delay should the system is not disarmed. NorthStar Alarm Services reaction times usually are estimated from the time that a signal is acquired to the point in time the monitoring center calls your house to confirm the alert. This time certainly should be within a sixty seconds. Whenever no person responds from the home, in most circumstances, they will likely endeavor to contact everyone listed on the emergency call list …and they will dispatch the police. Each step has to be time stamped and transcribed from the monitoring center. Even though you may find NorthStar Alarm reviews which might complain regarding excessive reaction times, most of the best security alarm services can do a pretty good job – so long as things are all working correctly. NorthStar Home Security suggests the actual alarm be subjected to testing each week or perhaps regular monthly basis to make sure that security system along with NorthStar Alarm services communications are really functioning perfectly. Across the country, the typical reaction time by the law enforcement is approximately Seven minutes or so, but, this tends to vary dramatically depending on the location of your house, the nature of the circumstance, whether there’s audio or video authentication and the ongoing demand coupled with accessibility of localized emergency services at the time of the call. If you already posses a NorthStar Alarm and want to share information on their real world reaction times, please don’t hesitate to mention your knowledge of NorthStar Security response times in our customer NorthStar Alarm Reviews. During a power disruption, does the NorthStar Alarm continue to function? The NorthStar security system is equipped with a battery backup system that will run the system in the event of an electrical power outage. The majority of NorthStar Alarm reviews are going to specify this as a standard 24 hour battery, but this may vary somewhat dependent upon the key pad screen, individualized configuration settings together with the amount of components. The NorthStar Alarm system will beep to warn you of the fact that system is operating on back up power and remind you to plug in the code. Assuming you have created announcements in the NorthStar Home Security App, you will also receive an alert from your phone. If you are a current NorthStar Alarm customer and have experienced a power outage, let us know how your system performed in our NorthStar Alarm Reviews. Whether you decide to purchase NorthStar home Security or not, following a handful of easy steps to protect your property from thieves. 2.Sliding glass doorways happen to be an easy target. To stop criminals from forcing them open, position a metal rod or piece of lumber in the track and install vertical bolts. Get rid of hiding places by maintaining bushes trimmed near entrance doors as well as windows. Keep your your house well lit. Exterior motion lighting is a terrific deterrent to protect against night time home invasions. In addition to reading the customer NorthStar Alarm Reviews, you may want to compare NorthStar Security with professionally monitored alarm systems from our top rated security system companies. It will greatly reduce the odds of an attempted break in, and provide you with many other life safety benefits designed to strengthen your sense of security and give you 24/7 peace of mind! Thank you for visiting! Please feel free to share NorthStar Alarm Reviews, below or follow us, above. If you or someone you know has experience with NorthStar Alarm Security Systems, we hope you will share that experience in our Customer Reviews. Apparently makes numerous cold calls in violation of the DNC Registry…I should say the totally worthless DNC. I have recently been researching security systems, but nothing that appears to be associated with Northstar Security. In fact, all of my research has been with DIY systems installation and monitoring available with Home Depot or Lowes, and nothing has been associated with Northstar nor any of their products. First I’ve ever heard of them, and will definitely be the last I hear from them. Oh well, another lowlife telemarketer permanently blocked by my call blocking system. If you are researching DIY security systems, you won’t find NorthStar Alarm. They are a professionally installed home security system- and NorthStar Security Systems are only available on a regional basis. So depending on where you are located, you might have little exposure to them. However, you are correct. In areas that they cover, there have been numerous complaints lodged regarding their telemarketing sales approach.